What Is The U.s. Army? 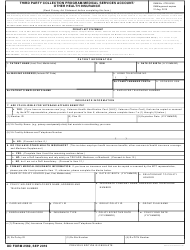 Army forms are a major part of the paperwork used by and within the branches of the United States Military. From initial enrollment forms to military discharge and VA Benefits applications - no service-related action, application or claim is possible without filling out a correct set of military forms. Accessing military and veteran benefits, requesting service records and separation papers requires downloading, filing and submitting its own set of Army publications within specific regulated guidelines. 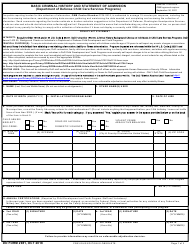 All military departments host an up-to-date list of all current and discontinued forms issued by and used within their agencies. Whether you need a specific Army form or are looking for a database of important military documents related to a particular agency within the U.S. Armed Forces, our database of recent fillable Army forms is constantly updated to cater to your needs. Browse forms sorted by issuing department by clicking the links below to gain access to step-by-step instructions, filling tips and mailing information. 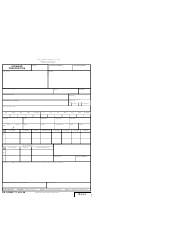 All Army forms and publications are sorted by issuing department or office. Each branch of the U.S. military plays its own unique part in maintaining security and peace within the country. 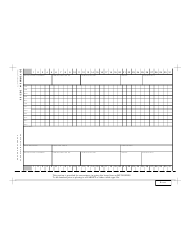 Most printables are available for digital filing within your browser. Some Army pubs require being downloaded to your desktop or mobile device to be printed and physically signed before submission. Read filing instructions and research applicable requesting and filing restrictions before downloading and mailing any of the forms posted on our website. The U.S. Armed Forces are the military forces of the United States of America. The U.S. Military is made up of five branches of armed service with several separate Army-related agencies. The five branches are the Army, Air Force, Navy, Marine Corps, and Coast Guard with the President of the United States serving as the Commander in Chief and being responsible for making final decisions and forming the country’s military policy. Active duty soldiers working as soldiers full-time have specified hours off to pursue personal interests, travel and spend time with family and friends. Reserve personnel and guard forces usually have civilian jobs, but may be called in for full-time military duty. Reserve forces receive training and maintain their skills in a long-term part-time commitment. Veterans are retired members of the military, eligible to certain benefits and compensations for their time spent serving their country. The U.S. Armed Forces are one of the largest militaries in terms of the number of personnel and as of this year has 1,281,900 Active Duty and 811,000 Reserve members within its ranks. 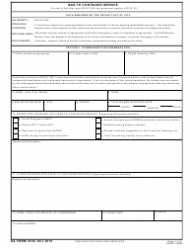 Download this form to schedule and track work schedules for service members at all levels. 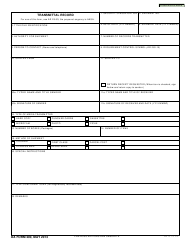 Use this form if you are a newly-appointed officer in order to create a record of the date of acceptance of appointment. 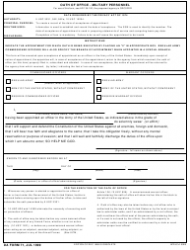 This form is used to request permission for temporary military leave. 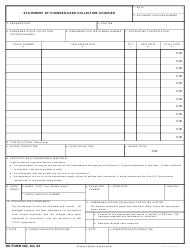 This form can be used to request an emergency leave, a vacation, travel, or an extended pass. 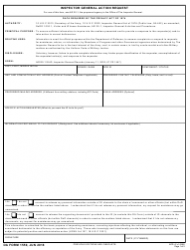 The purpose of this form is to obtain appointment in the position of warrant officer in the Army Reserve or the Army. It may also be used to possibly obtain a selection to attend the U.S Army Officer Candidate School. This document is used to recommend a soldier for most awards, except wartime awards, awards for valor and heroism. 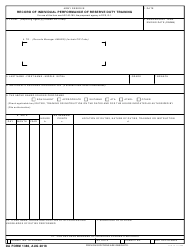 This form is used for adding or removing flags from a service member's record. A flag is an administrative measure implemented during disciplinary and administrative investigations within the U.S. Army. 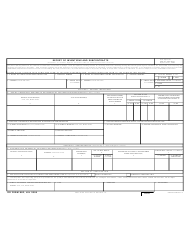 This form is used by the U.S. Army in order to keep track of transmittal records of Army property shipped from a receiving party to a shipping party. 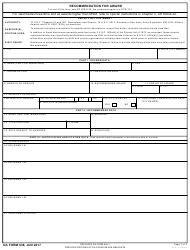 The form is filled out by the shipper. 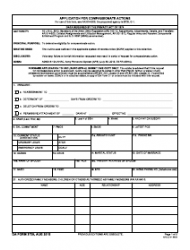 Use this form to record the examination of commercial and state vehicles transporting hazardous materials (HAZMAT) on public roadways. 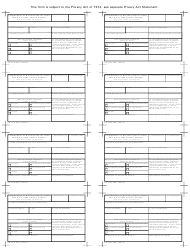 Download this form to create a nomenclature of items, so that units, groups, sets, systems, assemblies, attachments, and accessories all use the same approved item names and type designations. This is a source document for the Electronic Military Personnel Office (eMILPO), which is used for documenting personnel movements within units when performing a permanent change of the station (PCS) or carrying out temporary duty. 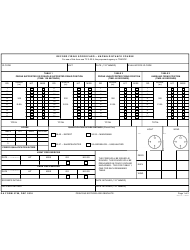 This form is used to score, track and calculate the results of the Army Physical Fitness Tests to see if the service member passed the requirements. 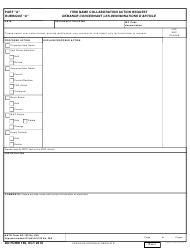 This form is used by supervisors to report any accident that happened on U.S. Army grounds and resulted in a serious injury, death or damage to property and equipment. 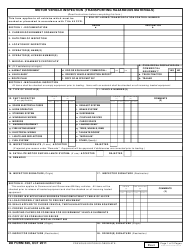 This form is used in cases when a service member is separated from the duty for being medically unfit, but not retired. Use it to apply for a disability rating review. 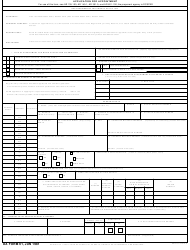 This is a form for providing invention reports to a Contracting Officer and reporting of awarded subcontracts with patent rights clauses. 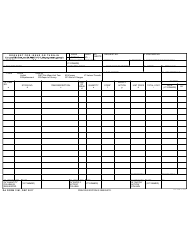 This form is used as a packing list and to document inspection, receipt, and delivery of services or products. Sometimes incorrectly referred to as DA Form 250. Download this form to order your prescription eyewear. Most orders go through the Spectacle Request Transmission Systems (SRTS) that provides a ready-made DD Form 771. 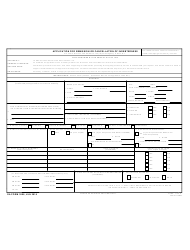 This form is used by the Department of Defense (DoD) in the same way an invoice or a receipt is used to document purchased goods. 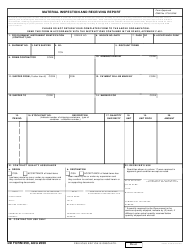 This form designates military postal employees and determines the kind of mail they are authorized to handle. The mailing personnel has to receive proper job training and instructions prior to assuming their duties. 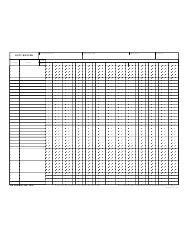 Use this form to schedule regular preventive item maintenance and to document maintenance actions performed. 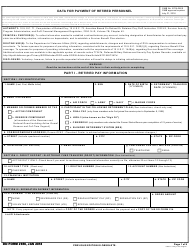 This form is required by the U.S. Army for any DoD contractor, family child care provider, adult family member of a family child care provider, and specified volunteers of a DoD C&Y program for a background and criminal history check. 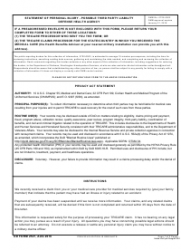 This is a form required for all dental and medical-readiness period payments to reservists assigned to U.S. Army Reserve (USAR) units. Download this form to request a compassionate action if a service member has extreme family problems. This may be a reassignment, detention, a deferment or a permissive attachment based on the specific circumstances. 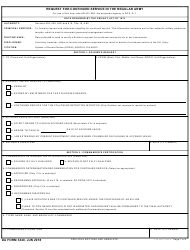 This form is used by Inspectors general, Department of Defense civilian employees and Soldiers for presenting complaints, grievances or requests for assistance, advice, or information. 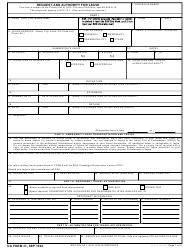 This Army form is used for requesting an extension of a current enlistment or reenlistment in the Regular Army (RA). This form is used for recording parachute jumps performed by U.S. Army soldiers. The results recorded on the form are used to determine eligibility for receiving parachutist badges and awards. 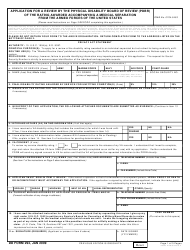 This form is used by members of the Army National Guard (ARNG) or the U.S. Army Reserve (USAR) that in order to extend their current enlistment or reenlistment agreement. 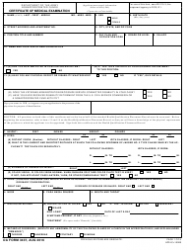 This form provides relevant information needed to establish a retainer or retired pay account and gathers information on any dependents the retiree may have. Use this form if you wish to start a new allotment to deduct from a retired pay account, or to change an existing one. The same form is used to stop allotments. 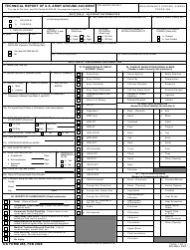 This is an Army form used for detailing supplies that are to be turned in or are being issued to a certain party. 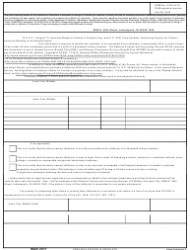 You need to complete this form if you are a custodian of a service member's child in order to apply for and request child support payments, alimony or a division of property. 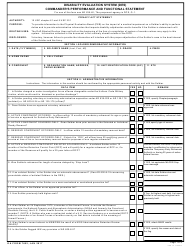 Fill out this form to record information on the impact of a medical impairment on the ability of a service member to perform their duties in the U.S. Army. 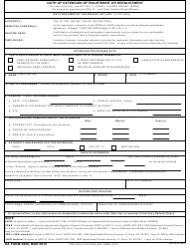 This form is used for keeping a record of a service member's shooting skills in order to ensure that all members of the U.S. Armed Forces are properly trained in firing guns. 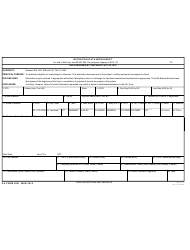 Download this form used for recording scores during alternate qualification courses. 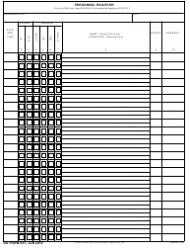 Use this form to record firing scores during Known Distance (KD) range courses - one of the two Army-authorized alternate record fire courses. 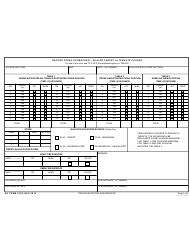 This Army form is used to place a service member on notice that their continued service may not be in the Army's best interest. The form for the TPCP or the Third Party Collection Program is used by the Department of Defense (DoD) beneficiaries to provide information about health insurances other than TRICARE, Medicare or Medicaid. 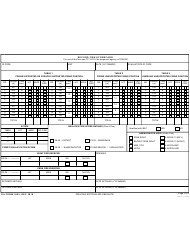 This Army form is used to record the results of a pre-employment physical examination of federal (NAF) employees. The certificate can also be used during periodic job-related physical tests. 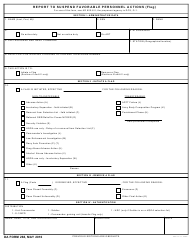 This form is used to explain any situation in which the condition of the beneficiary was caused by a work-related injury or accident. 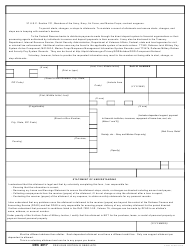 This is the form used by service members in order to apply for reduction or cancellation of their debts to the U.S. Government if the debts were incurred due to injustice or if suffering extreme hardship as a result of indebtedness. 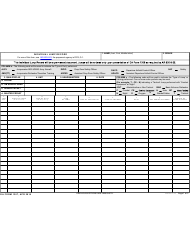 This form is used by commanders and career counselors to record the results of retention counseling as part of the Army Retention Program.